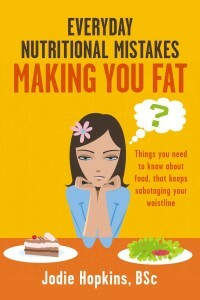 You are here: Home / Blog / ‘Everyday Nutritional Mistakes Making You Fat’ e-book now Published online! “Do your self a favour and read this book, it will change your life! 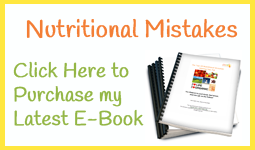 My eBook is PUBLISHED and has been released out into this world! 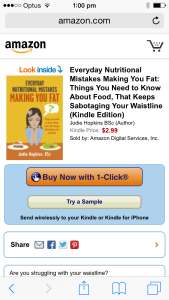 ‘Everyday Nutritional Mistakes Making You Fat’ eBook by Jodie Hopkins, BSc. The time has come, that I ask for your support with action now. You know with that whole Best-Seller Status that I am aiming for and to sell 5,000 copies this week? Well, today that goal starts. And now I ask for you to act in a swift gazelle-like manner (haha) to buy my thought-provoking eBook this week. And also please to share, share, and ask, ask, as many of your friends, family and work colleagues to also do the same! Ok so now what to do? Here is a multiple choice for you first…. a) Buy yourself a copy, and share it with all your social media and email friends, and ask them to do the same. b) Buy a bunch of copies (using your friends/family/staff emails) and give them to important people in your lives. 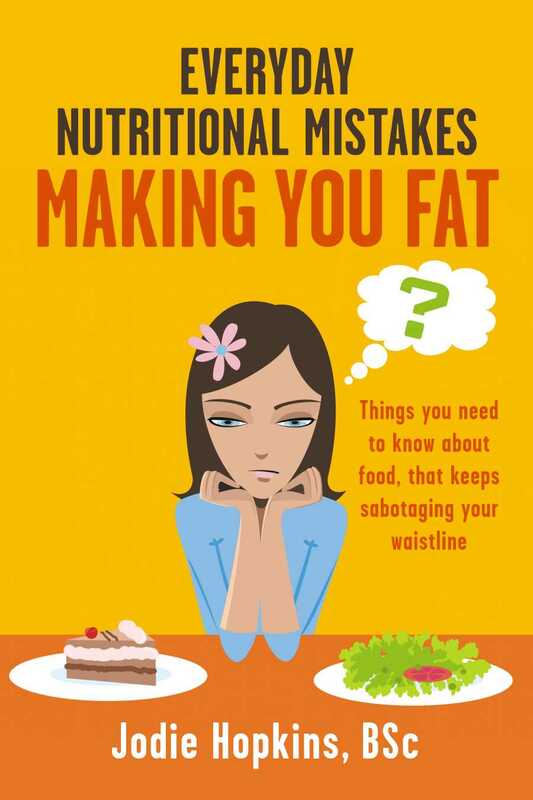 We all know people in our lives that will benefit from some healthier choices, or those who like to read about this stuff! Go to my Website – ‘Your Life Your Body’ for specific instructions in the ‘Products’ section. It will tell you all 14 of the eBook Retailers you can purchase from, and other relevant info. You have 1 week to act. However, it will still be available for purchase after this time, if others are still interested later!